One more recipe using the shami kababs. It is nothing but a simple and easy sandwich. 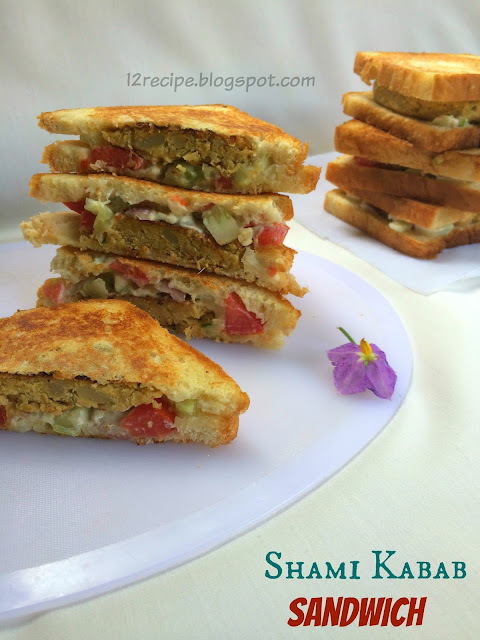 Just mix up the veggies along with leftover kebabs and assemble it inside the bread slices. Toast it and serve hot along with a cup of tea. Mix up the veggies with potato garlic dip. 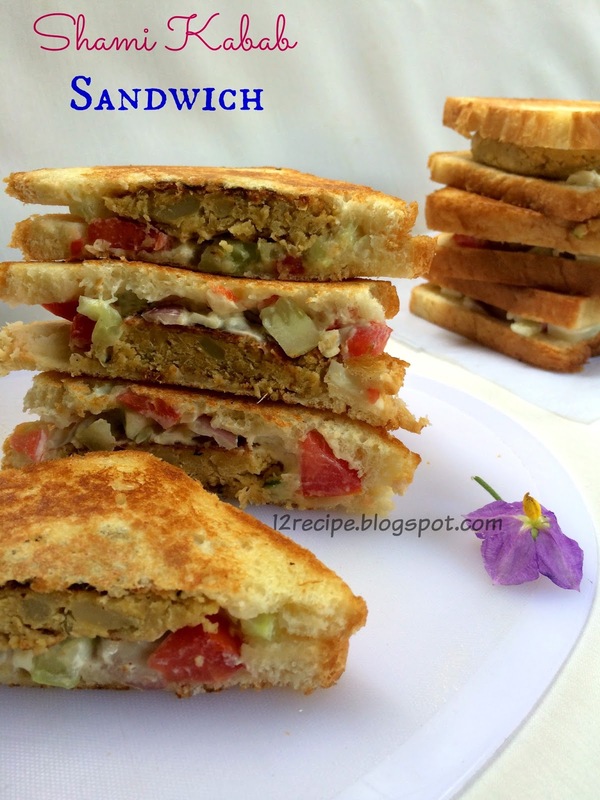 Take a slice of bread and apply a layer of veggie mix. above that place the shami kabab and once top it with veggie mix. Cover it with another slice of bread. Heat a pan with butter and toast on both sides until nice golden and crisp on low flame. (while heating press the sandwich gently to stick well.). Serve hot and enjoy the great taste.. Note:The quantity of ingredients are not listed. It depends on the amount of kabab and bread slices; you have.